Whether you’re exploring the Uruguay real estate market for a home you can move into full-time…a vacation retreat you can visit a few weeks or months a year…a beachfront lot you hope to resell at a profit…or your own slice of sand where you’ll build your dream home…you can find it in Uruguay. And it’s perfectly legal to buy. In 2005, there were more than 650,000 square meters approved for property development in Uruguay. It is estimated that half of these new properties were purchased by either European or American buyers who discovered the wonders of this country over the last few years and wished to take advantage of the low prices, numerous facilities, and the beautiful coastline with stunning beaches. Due to the stability factors and overall economic situation of the country, the last few years have seen a major real estate boom in Uruguay, mainly concentrated in the cities of Montevideo and Punta del Este which have become Uruguay’s real estate hor-spots. If big-city living is for you, Montevideo is likely to be your favorite place in Uruguay. You can spend weeks exploring the city, and never get tired of enjoying its shady parks and sycamore-lined streets, eating in its sophisticated restaurants, bistros, and sidewalk cafés, or browsing in the artisan markets, antique shops, and bookstores. Or how about a walk around Plaza Fabini and Plaza Cagancha, which often have musicians playing tango or residents perfecting their tango skills to a local band or music box. After a few days in Montevideo it is easy to fall into its rhythm, sitting at a sidewalk café while reading the paper and watching the world go by. The city has it all in regards to culture and convenience. TeatroSolís is a magnificently restored old-world theater, serving as a venue for some of the most famous theater groups and orchestras in the world. There are numerous schools of dance, music, and art. The city is home to 35 radio stations, various TV channels, and it has good cable TV and high-speed Internet services. Overlooking the center of Plaza Independencia, in Montevideo’s old quarter of CiudadVieja, is a four-bedroom and two-bathroom apartment. The building is from the 1920’s with the original marble foyer and ornate iron elevator. Price: $115,000. In Centro area of the city, on Plaza Entrevero, in the historic Zitarrosa building, there’s a three-bedroom, two-bathroom apartment which still has all the style of the 1920’s when it was built. It has amazing views from the eighth floor and needs some cosmetic repairs only. Price: $108,000. Punta del Este is one of South America’s premier seaside resorts, and its beautiful beaches, dazzling casinos, world-class restaurants, and upscale shops have kept people coming from around the world for almost a century, earning it the title of the Saint Tropez of South America. One of the continent’s most glamorous resorts, it’s often host to jazz and film festivals, rodeos, fashion shows on the beach, and major conferences, as well as visitors that include international celebrities, European royalty, and Brazilian and Argentine politicians and jet-setters. After losing some of its shine during the 1990s, Punta del Este—traditionally known as “the Pearl of the Atlantic” has reinvented itself once again. Its new image as South America’s premier all-purpose vacation spot, with attractions for everyone from lounge-music fans and families with small children to sport fishermen, gamblers, and sun worshipers is paying dividends. The streets and the city are as clean and appealing up close as they are from miles away, and the beaches are well maintained and spotless. It seems crime-free, and is completely devoid of the panhandlers you might expect in a Latin American city of this size. And it’s a place that oozes with class, from the fine upscale shops and boutiques to the world-class restaurants, and dazzling casinos. And the cost of being here isn’t as high as you might think, considering the posh surroundings. An 860-square-foot house, with three bedrooms and two bathrooms, less than 300 yards from the water at Punta Ballena (the beginning of Punta del Este as you approach it from Montevideo). Built in 2000, it needs a little TLC and decorating but is being sold furnished. Price: $85,000. In the Pinares neighborhood, there’s a charming thatched roof house with nearly 1,200 square feet of living space. It’s in good condition, with two bedrooms, two bathrooms, and a separate guest apartment. It also comes furnished. Price: $114,450. Uruguay has a lifestyle and a region for everyone, depending on what you’re looking for in the way of a new life abroad. Whether you want to live downtown in a world capital, in the heart of an old colonial city, or on a sprawling ranch in the heartlands, you can be sure that Uruguay has a place for you. Why Can You Get Such A Good Deal On Property In Uruguay? In the last 20 years, Uruguay’s real estate market has been linked to what goes on in the neighboring countries of Argentina and Brazil. In 1998, all three countries enjoyed high values in real estate, especially in Argentina and Uruguay. The Mexican financial crisis, followed by the Brazilian devaluation of the currency, caused both the Uruguayan and Argentinean real estate markets to start a losing trend in its pricing in most areas. By the end of 2001, the situation in Argentina reached its climax, and in early 2002, devaluation followed. But the market, prior to devaluation, had already lost about 20% to 25% of 1998 values. This held true for the Uruguayan market as well. 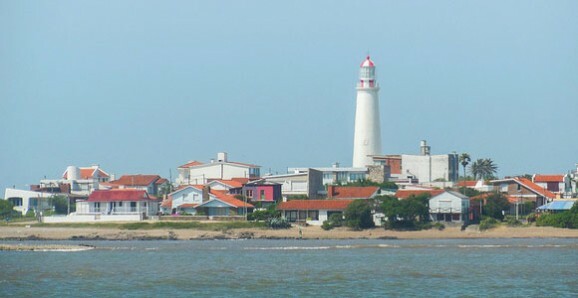 When Argentina devalued its currency and defaulted on its debt, this had a strong impact on the Uruguayan economy and real estate market, and property lost a further 10% to 20%, with these losses being more noticeable in all Uruguayan markets heavily dependent on Argentina, such as the Punta del Este area. The Uruguayan currency also devalued, but not as sharply as its neighbor, and Uruguay still kept its commitments. A lower-priced currency meant lower cost of living and an attractive environment for foreign investment. The higher-end areas of Montevideo, such as beachfront units in Pocitos, are almost back to pre-devaluation prices. Punta del Este is also enjoying a construction boom, and most property has recovered lost time and is now offered at 1998 values. Today, you can still snag a bargain on real estate in Uruguay by buying property at auction. A boleta de reserva (pre-purchase agreement) is drawn up. This is a private document that establishes personal obligations between buyer, seller, and real estate agencies taking part in the deal. In it, several things are stated: price, delivery date, names of the people involved, condition of the property, real estate agent’s commission, etc. This is the most important legal document of the transaction because it lays out the rights and obligations of each party to the sale. Usually, 10% of the purchase price is left with the notary or with the real estate agent, and it is signed by both the buyer and seller. Once the boleta de reserva has been signed, the notary public continues the process. He receives the following documentation from the selling party: last copy of the title, blueprints, and tax receipts, with the understanding that the seller is obliged to hand over all documents pertaining to the property in question. The assigned notary must review and study the history of the property going back 30 years. This is done covering different aspects, such as trusts or other corporations if they exist, previous purchase-sale transactions, payment of taxes, and compliance to building codes. The notary requests different entities to extend certificates going back 30 years in relationship with the property and to the various owners as well as the land-surveying office. He also verifies the current property status from all related public offices. Two to three days prior to the signing, the notary coordinates between all parties (seller, buyer, real estate agents, and third parties involved) at a designated time, and at the same time the documents are registered at the property registry. By doing so, the mechanism of priority reservation is put in motion allowing for a 30-day period in which the property is “blocked” from any legal proceedings. In this time, the notary must write the deed, pay the taxes corresponding to the transaction, and register the first copy of the deed at the registrar’s office. The deed is then authorized and granted. The notary acts as the agent withholder of taxes and makes payments before the government’s revenue office of the corresponding tax to real estate transactions (2% of the officially registered value, usually much lower than the real value, due by each party). The buyer and seller each pay this 2% fee. The first copy of the deed is then recorded at the property registry. To finalize the transaction, an original as well as a registered copy of the deed and all other documents (blueprints, tax receipts, etc.) for the last 30 years, provided by the notary, are given to the buyer. An intermediate contract between the boleta de reserva and the deed can be drawn. This is the promissory deed. It is a contract that is also given before a notary public and holds the power of the deed. It is used when a legal element is missing to grant the deed. At the same time, if the promissory deed is signed and recorded, in the event of the death of seller, bankruptcy, seizure, or the seller’s refusal to sign the final deed, the judge can order to have the promissory deed recorded and, in accordance with the law 8.733, will grant the final deed.